What is the game you turn to when nasty household pests have you down? When you just want to get some of the aggression out? 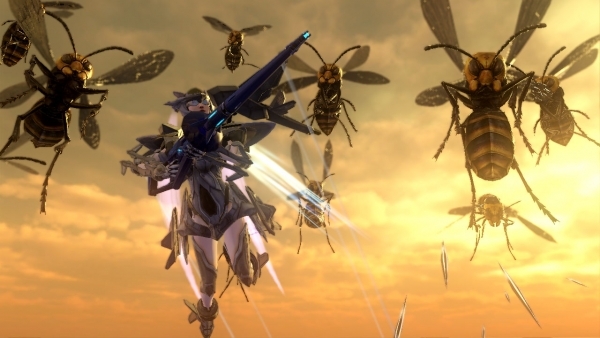 Earth Defense Force has been the go-to series for those of us who want a game to simply chill out and blast away alien bugs. The best part? They have all contained some of this generation’s most enthralling cooperative moments. All of this at very affordable prices. We are talking the cream of the budget-title crop here. Earth Defense Force: 2025 looks like it will be no exception to the rule. If footage from this new trailer serves as an indication of what is to come, then we can expect an upgraded experience that surpasses our wildest dreams. Well maybe not that, but it still looks fun. The latest trailer of the game from publisher D3 shows off an exhilarating game full of options. We have witnessed playable robots, motorcycles with sidecars, tanks, and enough explosions to grind the framerate to a halt. Yup, it’s EDF at it’s finest, and hopefully it's coming soon. Page created in 0.2699 seconds.